Welcome to the future of Banking! 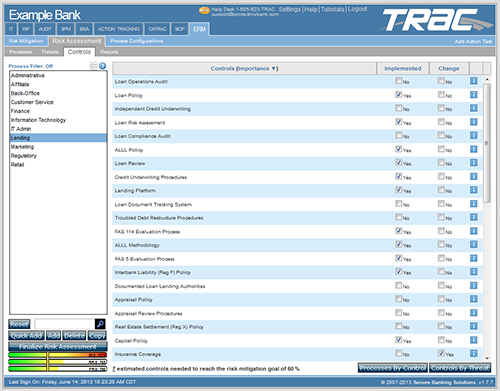 Originally developed as an IT Risk Assessment Tool, TRAC has evolved into a full-fledged Information Security Software Suite! Say goodbye to the era of working long days on tedious projects, studying regulation, and walking down an unguided path! 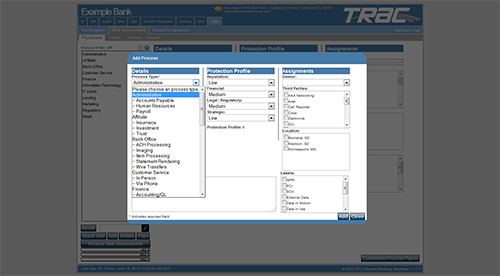 With TRAC, a bank can easily conduct numerous tasks, and produce customized results that align with regulation, best practice, and, of course, your institutions’ strategic goals! 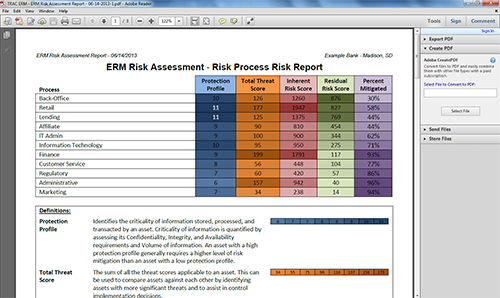 BSA Risk Management: Determine the risk of your services, same time and money. For more information, visit TRAC’s official website. Call us at (800) 466-9939 for more information, including a demo.